The Marlowe’s Roar programme is a development process for new writing aimed at bringing exciting and bold new theatre to the stage. Friday’s showcase, Roar 1.0, will present three plays by three Kent-based writers who have explored their work over a two-week ‘research and development’ process with a professional cast, supported by The Marlowe creative team. Hannah Farley-Hills, our Creative Projects Trainee, spoke to Rhiannon Tise, one of the three writers, sneaking her out of the buzzing rehearsal room to discuss how she has found the process so far – and her hopes for the future! Where are you from Rhiannon? Tell us why you’re here at The Marlowe, taking part in Roar. I am one of the writers, there’s three writers altogether and I’m one of them, and we’re here for the two-week development and research about our plays. What exactly happened last week, and what’s gonna happen this week? 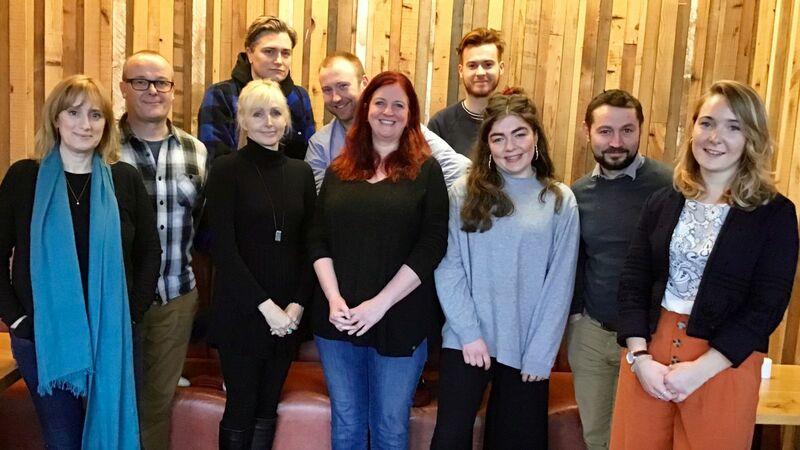 Last week, we all met – we’re working with two different directors – and we all read our plays, met with the actors, worked with them. These are new scripts so this is the first time they’ve been worked on, so it was just a lot of reading through the script, asking lots of questions, and then I spent the end of last week rewriting. I brought a new draft in today and we’ve been working on that this morning. So we’ve got a few days left of the two week run, what else will happen? And it ends on Friday, culminating in a shared performance? That’s right, yes, so we’re showing a section of the play – not the entire thing – on Friday. We’re working today on specific scenes with the actors, putting them on their feet, the scenes – playing around with them a bit. Then I will go away and do a bit more work on some of the scenes, then bring it back on Friday to showcase. As a writer, why is it so important to go through this process? I think it’s really important because a lot of the time you spend on your own and it’s great to, when you’re working on a new play, to work with actors and a director and play with work to see where there might be little gaps in the story, where there’s area for improvement… and also because theatre is a collaborative process so it’s brilliant bringing [the play] into a room with the people that you want to collaborate with. You feel supported, as a writer. And what are your hopes for the play? Well, y’know, it would be great if someone wanted to develop it further, that would be amazing! That’s why I write, so it would be lovely for an audience to see it. And just tell us, the play is called? And it’s one to watch! Roar is part of The Marlowe’s artist development programme – championing the artistic quality of Kent.